HeartLander is a tiny robotic device developed at Carnegie Mellon that can provide minimally invasive therapy to the surface of your beating heart. (a) Surgical view of the porcine trial. A 15 x 5 mm port was inserted through subxiphoid approach. A small incision was made in the pericardium and suspended open with sutures. Locomotion was visualized by a thoracoscope inserted from the left thoracic wall (arrow). (c). The HeartLander is seen through the pericardium (b). The solid line arrow shows the front body, while the broken line arrow shows the rear body. H, anterior ventricular wall of the heart; P, pericardium. 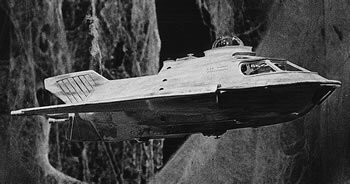 This inch-long robot is a very practical alternative to the somewhat more involved science fictional process outlined in the film Fantastic Voyage; get a small submarine, shrink it and the crew down to microscopic size (along with the needle to inject it into the bloodstream), etc. Via The HeartLander, a Bug for the Heart.